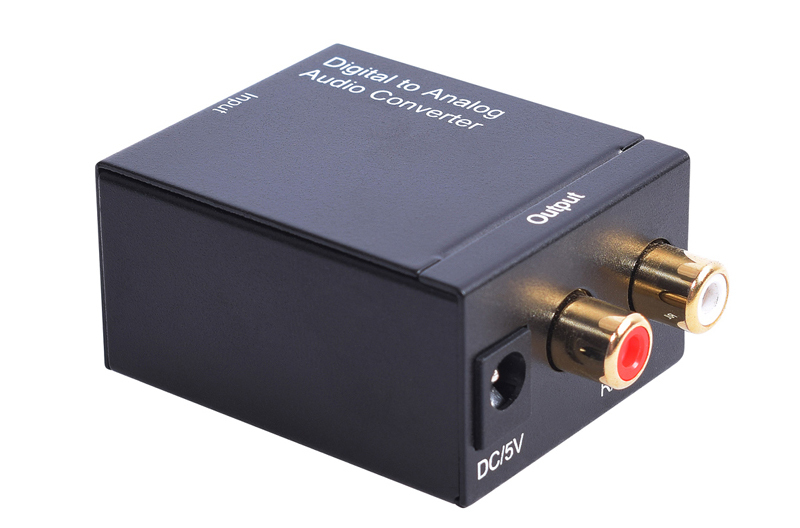 The Analog to Digital Audio Converter is designed to simultaneously convert analog audio signals from L/R input to Coaxial SPDIF and Toslink Optical outputs. 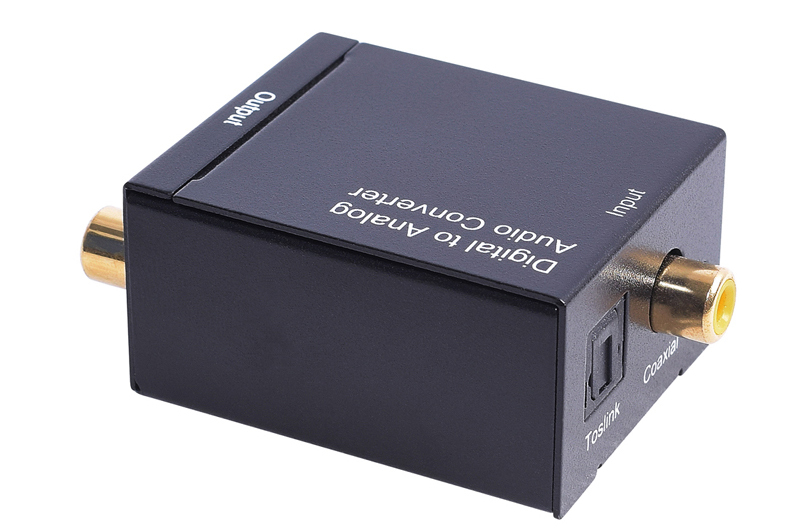 The digital audio output signal is a 2-channel uncompressed LPCM (Linear Pulse Code Modulation) with a sampling rate of 48 KHz. It is easy to install and operate for users. 2. 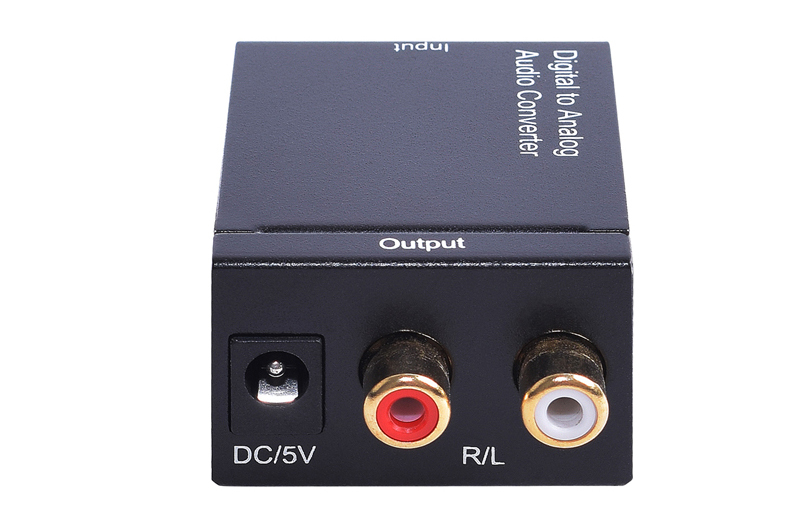 Supports uncompressed 2-channel LPCM (Linear Pulse Code Modulation) digital audio signal output. 3. Support output sampling rate of 48 KHz. 1. Connect the audio source device to the Converter using appropriate LR cables. 2. 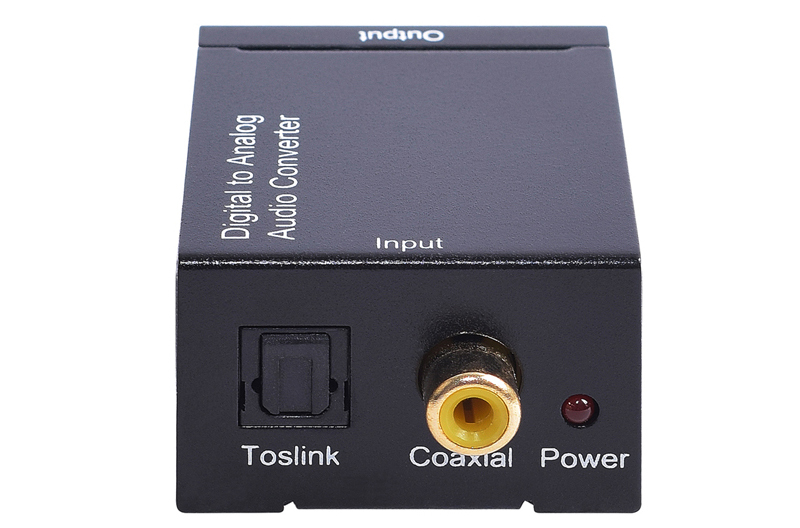 Connect the A/V Receivers or Amplifiers to the Converter using appropriate Toslink or Coaxial cable. 3. Insert the DC side of 5v power supply into the converter and then connect the AC side of the power supply into the wall outlet.